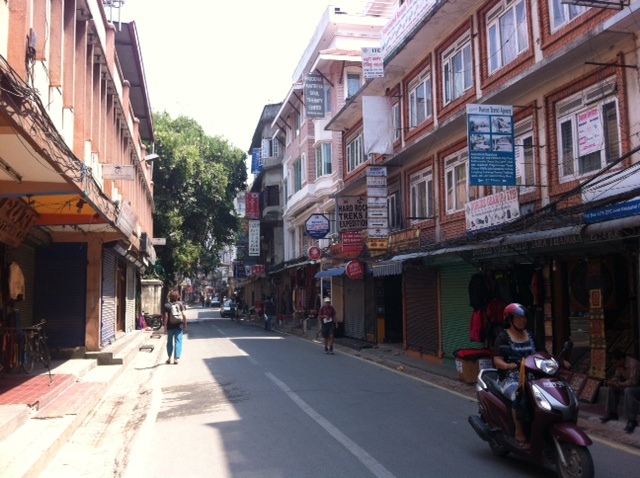 This is just a short update on the situation in Nepal – or rather Kathmandu. I have been back for one week now and it is great to see that everyone around me is somehow involved in the relief efforts. No matter whether it is coordinating; procuring relief items, such as corrugated iron sheets as they are most needed now; delivering the goods to the villages or promoting tourism for the coming season. In my previous blog I listed a few organisations that are worth donating money to and I do urge you not to forget about Nepal! EvenÂ though it has more or less been dropped off theÂ news since the second earthquake happened on 12th May, the situation here is still pretty precarious especially with the monsoon looming. However, we need to be positive and it is goodÂ to see how people have startedÂ to rebuild their homes and even though the fear of yet another quake is still ubiquitous, people are trying to get on with their lives at least in Kathmandu. After the first quake it was actually very impressive that even though the power lines in the capital look messy at the best of times, Kathmandu had its electricity back within three days. And even though there were disruptions, the mobile phone network never really died completely in the Nepali capital. Kunda Dixit, the editor of the Nepali Times has written a great piece on the reporting (or misreporting) on the earthquake – to have a read, click here. However, life is not quiteÂ back to normal yet. 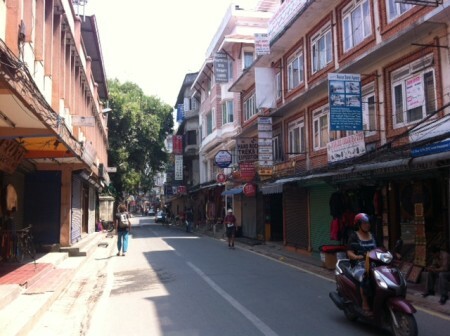 The tourist district Thamel should be buzzing with trekkers and mountaineers at this time of year and I should be busy running around interviewing the returnees from the big mountains, including Mount Everest. But, of course, the tourist are not here, which is understandable. But I do urge everyone who has planned a trekking trip toÂ Nepal in autumn 2015, to not cancel their holiday.Â Surveys are being done at the moment to find out which areas are safe to trek in and even though some of the areas have been heavily affected, there are still many trekking regions where you can go hiking safely and comfortably. 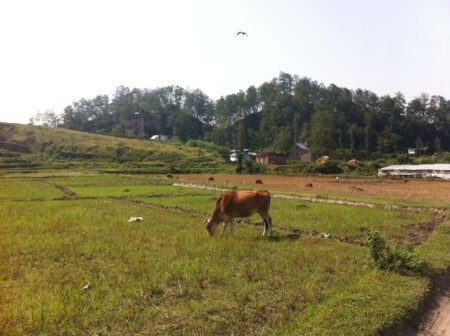 One of the unaffected areas is the Kanchenjunga region and I am leadingÂ a charity trip for the Himalayan Development Foundation Australia (HDFA) starting on 25th October, so if you had planned a holiday in Nepal and are now unsure whether you should go, just check the surveys that are being done. The Trekking Agencies’ Association of Nepal (TAAN) is sending teams of mountaineers and surveyors to examine the trails. Or check out the 26-day-trek Kanchenjunga Circuit Trek I will be leading. 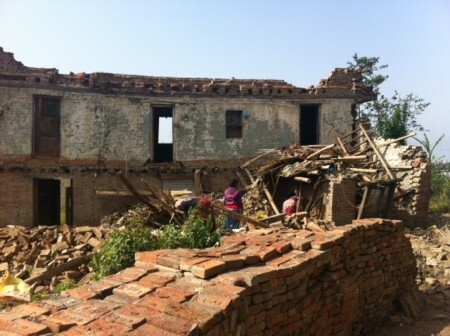 The Foundation is also very much involved in relief efforts and worksÂ together with PHASE Nepal, who have done an amazing job at getting relief items to remote villages and are now looking into longer-term projects, such as school rehabilitation and reconstruction. I will be in Nepal until 5th June and will then leave for Pakistan, where I will be workingÂ in the cooperation office of the Swiss Development Cooperation for one week and then go to Broad Peak. It was a difficult decision for me to leave Nepal and attempt another 8000m peak but after having discussed it at length with Russell, who had assured me that the Sherpas were keen to go as they needed the income, I decided to finally join the expedition.